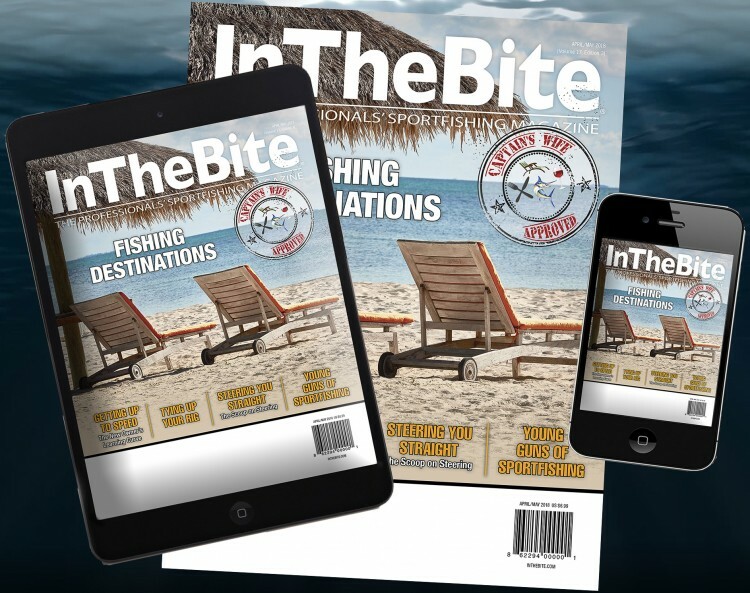 This article first appeared in our January/February 2018 issue Volume 17 Edition 1 of InTheBite The Professionals’ Sportfishing Magazine. 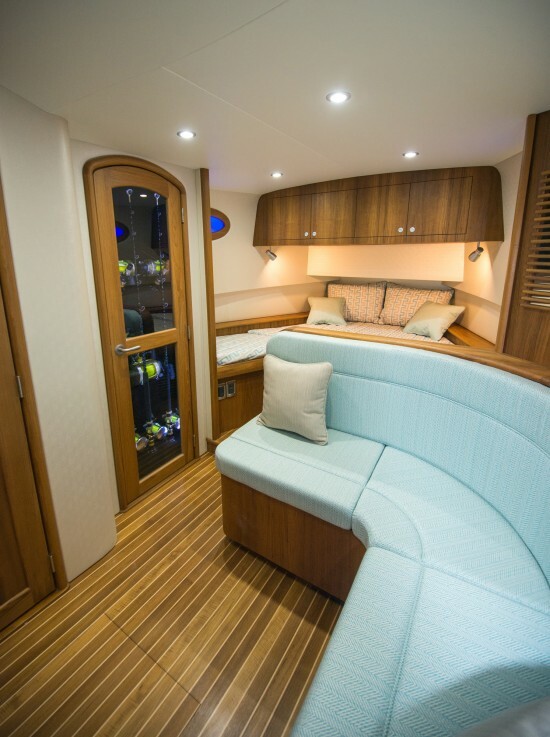 Van Leeuwen is the owner/operator of the Allure II, a yellow-hulled 40-foot Capps, and a charming, boutique handle-all-the-variables resort known as the Sailfish Oasis. Van Leeuwen is laid back and full of perspective. Since leaving his native New Zealand, he has done it. Van Leeuwen ran a boat for Tim Choate’s operation in the Galapagos, before following Choate to Guatemala. Though he’s been in Guatemala since 2002, the world knows him as “Kiwi.” His mates, brothers Julio and Enio Morales, are highly skilled and adaptable in their ability to relate to clients. In other parts of the world, the lodge’s hospitality would take top billing. In Guatemala, however, nothing compares to the fishing. The sailfish numbers in Guatemala make daily fishing report numbers sound like snapper fishing off of a chum bag. Raising 31, catching 16 out of 27 bites, could just as likely be catching 73 in a day or the groups that with some regularity catch 300-some odd fish in four days of fishing. The sailfishery here is astronomical. 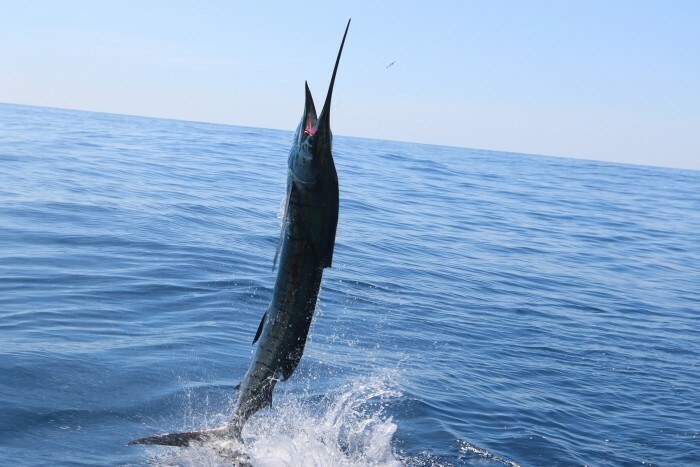 To label Guatemala as simply a sailfish destination, however, may miss the point. The following is a breakdown of the many reasons that constitute the Case for Fishing: Guatemala. The consistent, well-rounded fishery on the Pacific Coast of Guatemala results from waters teeming with bait. Deep currents interact with bottom topography, to send oxygenated, nutrient-rich water to the surface. These upwellings set the stage for clouds of ballyhoo, bonito all over the place, shoals of squid and generally lots of bait. The bait holds sailfish, blue marlin (with the occasional stripe and black mixed in), dorado and yellowfin tuna. Beyond the creatures taggable and gaffable, there are schools of spinner dolphins swimming with tuna and baleen whales feeding on bait, too. If you’re in to that sort of thing, there are an awful lot of sea turtles floating around as well. 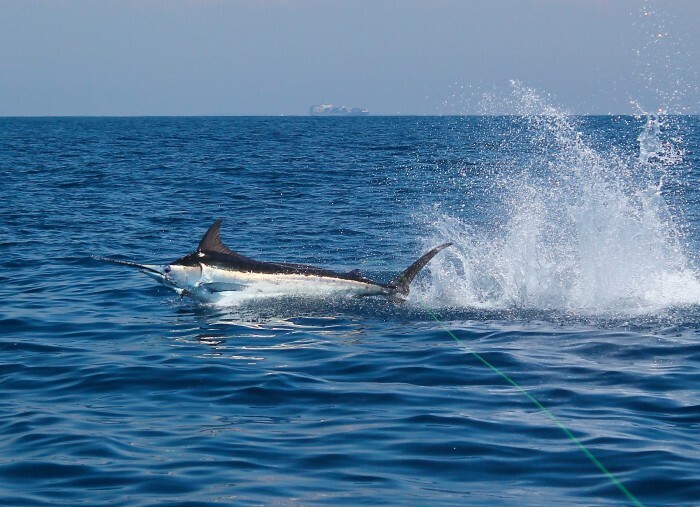 Someone forgot to tell the blue marlin that Guatemala is a sailfish destination. 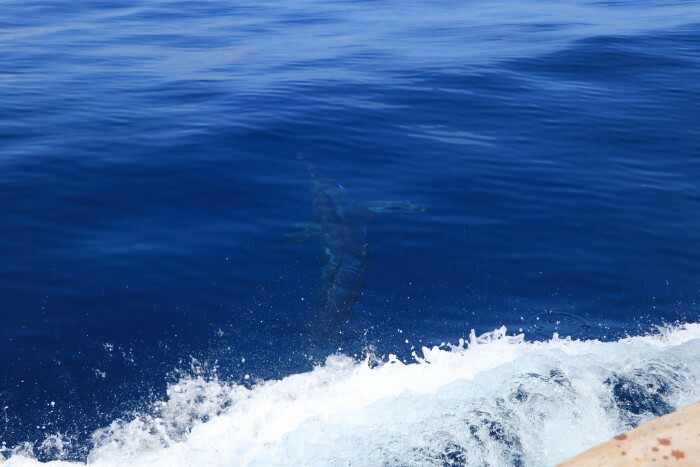 On the second and third day of our trip, we raised six blues and saw a tank of a marlin free jumping. 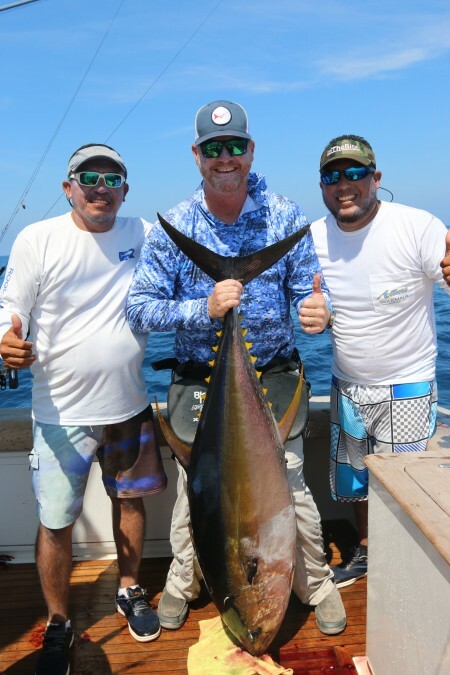 Captain Mike Sheeder turned loose a grand slam fishing near us—adding a blue and a black to a pile of sails. 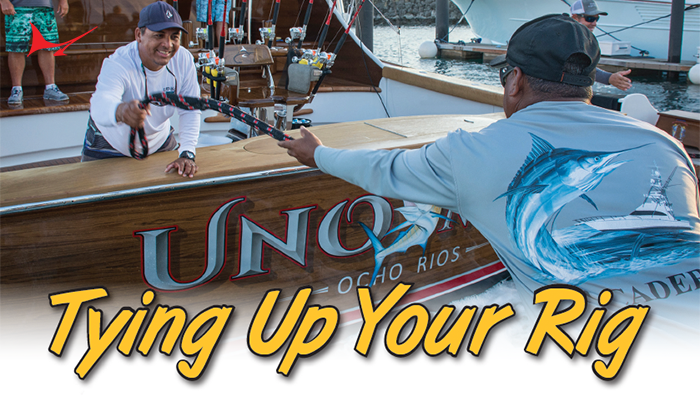 The marlin fishing near shore—eight to ten miles from the marina, is consistent. Unless someone is targeting marlin specifically, the fleet often runs past the marlin grounds to target sails. That said, blue marlin bites are consistent offshore as well, with a reasonable expectation to raise a few on any given three or four day trip. 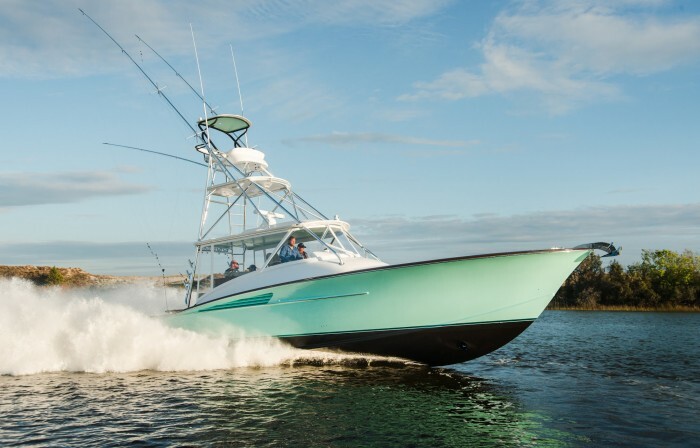 Brad Philipps runs the Decisive, a 40-foot Gamefisherman. Philipps and his wife Cindy also operate the Billfish Inn in Puerto San Jose and a hotel in Antigua. “Imagine how many more marlin we’d catch if we were targeting them. Remember, any time we spend going backwards on sailfish, we’re not marlin fishing.” How much time might be spent going backwards? 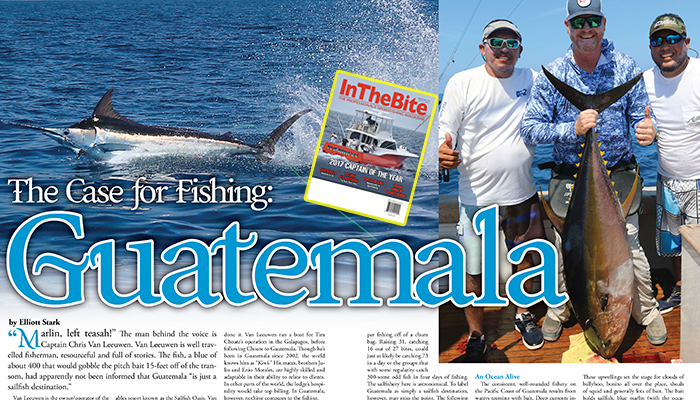 In any given year a Guatemala charter operator like Van Leeuwen or Philipps might fish anywhere between 150-200 days. 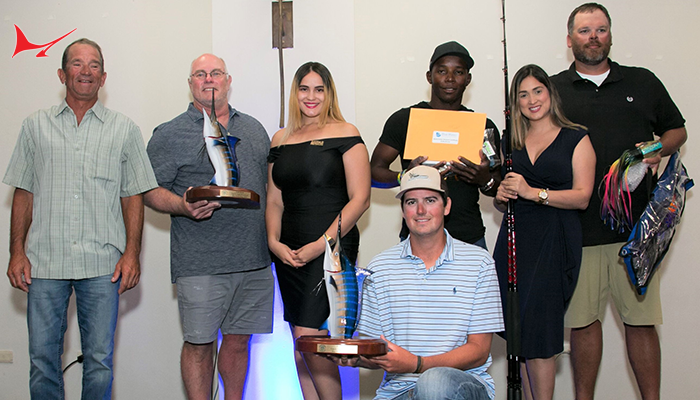 Over the course of a season, depending on such things as the skill of their anglers (or, perhaps as accurately, how many of the anglers let the crew hook the fish for them), high lining captains may release anywhere between 1,600-2,200 sailfish. That’s quite a bit of time with the square side of the boat going forward. A broad-shouldered blue marlin on the leader. Caught aboard the Allure ll in November. Van Leeuwen’s spread is telling of the consistent presence of creatures with broad shoulders. He runs two swimming ballyhoo out of the riggers, squid chains from the bridge and hookless plugs from the cockpit. If a sail noses around a teaser, it’s fed a ballyhoo on a chugger head. If something in a blue or black suit shows itself, out goes the mackerel. In addition to the one that is ready, there will be two or three more mackerel in the cooler ready for rigging. In a good year when the marlin are around, their marlin release numbers are measured in dozens—all while not specifically targeting them. Learning how to hook fish from the riggers or feed them off of a teaser can be difficult in many places in the world. In other parts, you troll all day for two or three bites. If a fish does come up, everyone on the boat goes nuts. People jump around, teasers get crossed up, and baits are thrown around like a Chinese fire drill. The stressfulness of the situation is twofold: a. because you’re not likely to get many shots, you need to make the most of them, and; b. because you haven’t had many shots lately, it’s been hard to work up the chemistry for everyone on board to know what they’re supposed to be doing. How then is a new boat owner or a new addition to the tournament team expected to be able to learn? 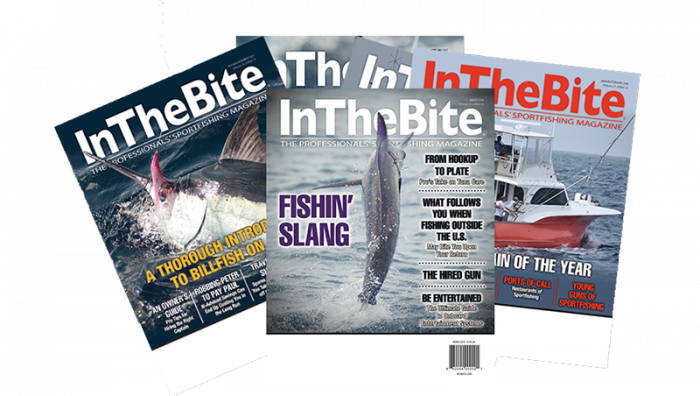 After all, unless you’ve grown up on the charter docks of Manteo or Islamorada, consistently circle hooking billfish can take some repetition. Enter Guatemala— the land of opportunity. As Capt. Kiwi puts it, “If you miss one in Guatemala, who cares? You’ll get another shot.” While the number of fish raised and released varies as with every type of fishing, the consistency of double digit days in Guatemala is the cornerstone of the fishery. It is the consistent presence of fish that allows for plenty of all of the necessary backlashing, whiffing, and bird-catching that it takes for a novice or intermediate rodsman to become a confident, competent angler. Capt. Chris “Kiwi” Van Leeuwen is a pleasure to fish with. The number of shots, in this line of reasoning, offers the following advantages: it decreases stress per opportunity; the repetition slows the process down (a first time angler who only sees a marlin every third trip—each time with the crew hollering like the boat is on fire—will believe that marlin swim 800-miles per hour); feeding fish from the teaser—and seeing the bite—will also help novice and intermediate anglers see the fish as they enter the spread, and; a stress-free environment in which anglers can alternatively miss fish and catch them on their own produces more technically competent anglers, but also more confident ones. 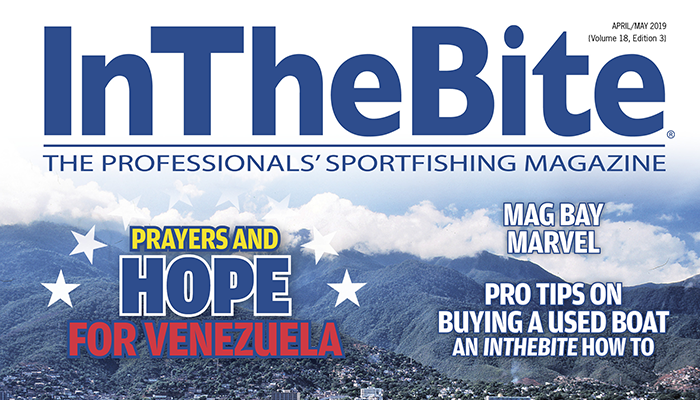 For a tournament fishing operation, a trip to Guatemala, or some other high volume fishery, is a way to hedge your bets. 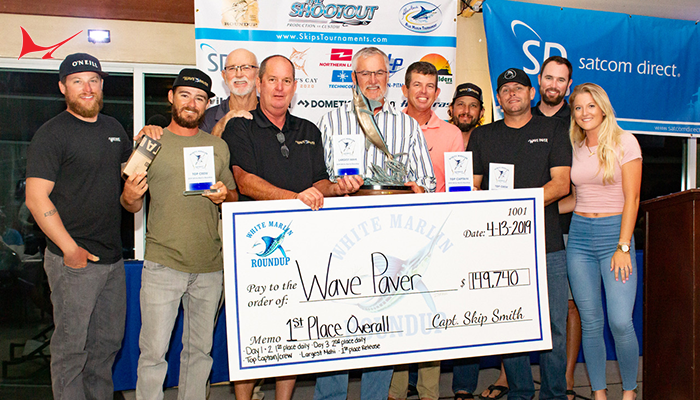 The charter tab becomes a team tune up before the high stakes, high pressure environment where a missed fish can swim away with tens of thousands of dollars. The experience works for everyone on board. Mates get a chance to see how high volume operations work, the way lines are cleared and how to best manipulate fish on the teasers. Owners and anglers can get their shots on the reel, leaving with a great experience and increased confidence. 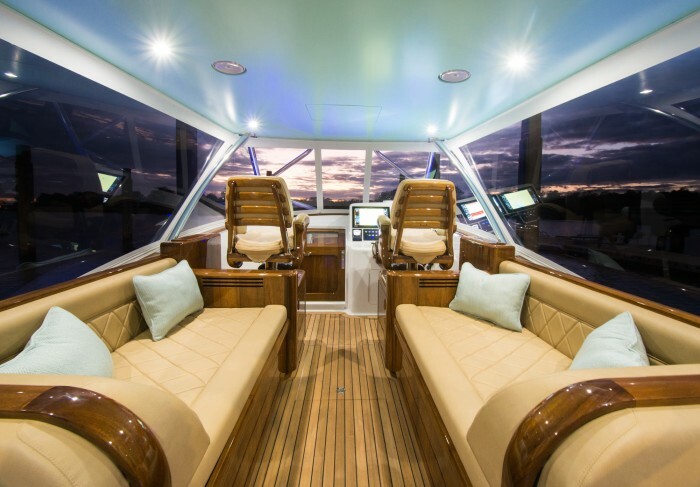 Captains can come down and see how to run the boat to increase multiple hook up opportunities. For someone with the right body of experience, Van Leeuwen will even let the captain run the boat for the trip to get his team dialed in. While a sentence such as this is generally reserved for the opening line of obituaries, it actually applies to Guatemala. According to Van Leeuwen, about 80% of the time Guatemala is calm (not 2-3 or 3-4, but calm). Beyond the generally pleasant proposition this provides, a tranquil sea state also enables the prescribing of very specific fishing applications. Think kids, wife or prospective clients who can’t deal with rough weather. Guatemala is a great place to introduce kids to the world of bluewater trolling. With short attention spans, the numbers are a great force to counter the I-pad. A calm ride is great for the kids and for that special lady, as nobody really likes to get bounced around. 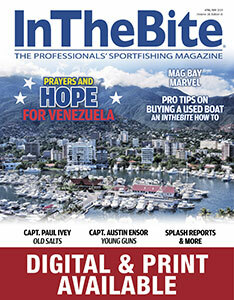 The March 2017 issue of InTheBite contains “Child’s Play: An Expert’s Approach to Fishing with Kids.” The setting for the article was the Rum Line with Captain Chris Sheeder, fishing in Guatemala. Because you generally don’t have to worry about whether you will catch sailfish or marlin in Guatemala, you can get fancy and try to catch them in special ways. Bring out the two-pound and the bug slinger! As it is illegal to kill billfish in Guatemala, there is no record fishing here but it is a great place to get accustomed to catching billfish on alternative tackle. 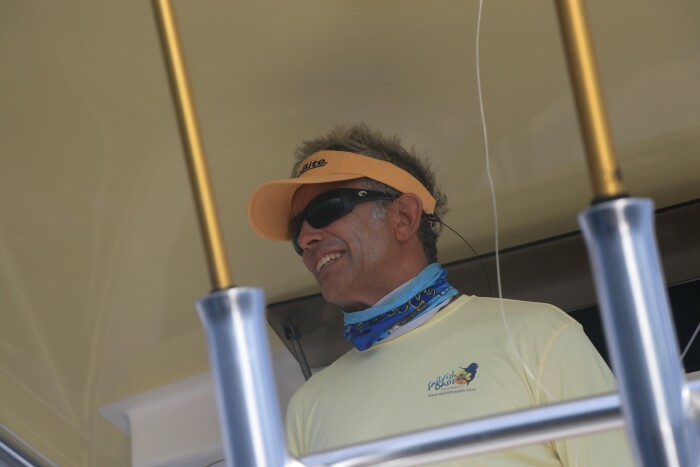 Van Leeuwen, like most of the captains operating here, is accomplished in the art of targeting billfish on the fly. Anglers wishing to target fish on the fly may do so to catch their first, target their biggest or to search for numbers. 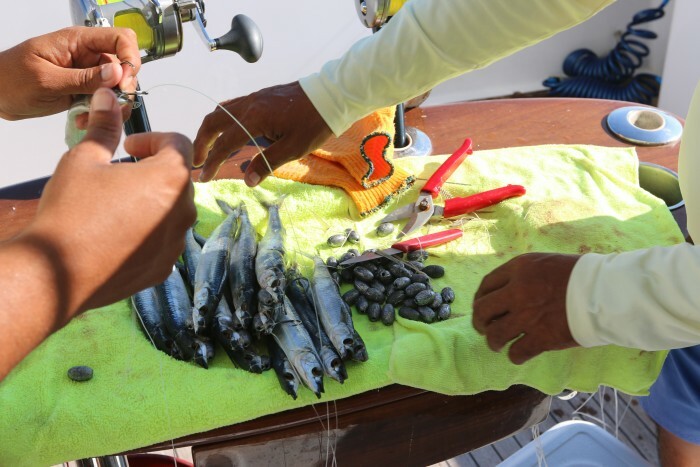 The approach involves teasing a fish up close to the boat, placing the boat in neutral and casting the fly in across the boat in front of the fish. The mate then snatches the teaser away and, if all goes according to plan, the fish eats the fly. As there are a number of steps to this process, it works best in high volume fisheries. There is one marina on the Pacific coast of Guatemala. All of the reports and astounding numbers you read about come from here. 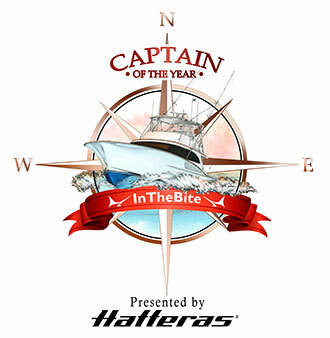 All the captains, all the boats, and all of fishing is centered in one location. There is something quaint and charming about it. 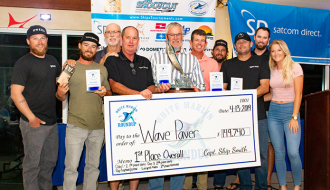 Captain Chris Van Leeuwen has been here for 15 years, Captain Brad Philipps arrived in 2000; Captains Chris Sheeder, Jason Brice, Mike Sheeder, David Salazar and others have all fished out of the same marina for years. 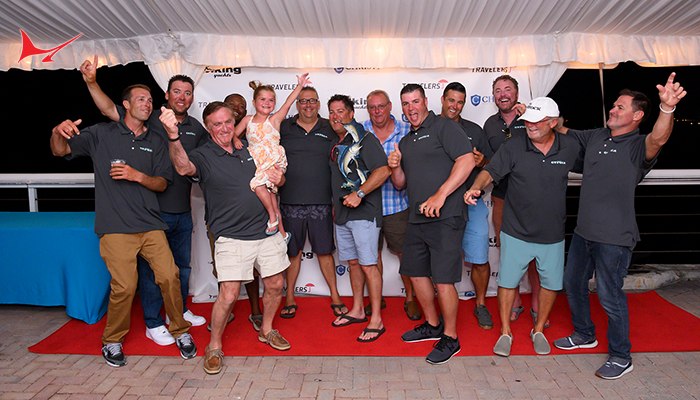 Joining the retired Captain Ron Hamlin, these active captains are all among the leaders in most billfish caught. 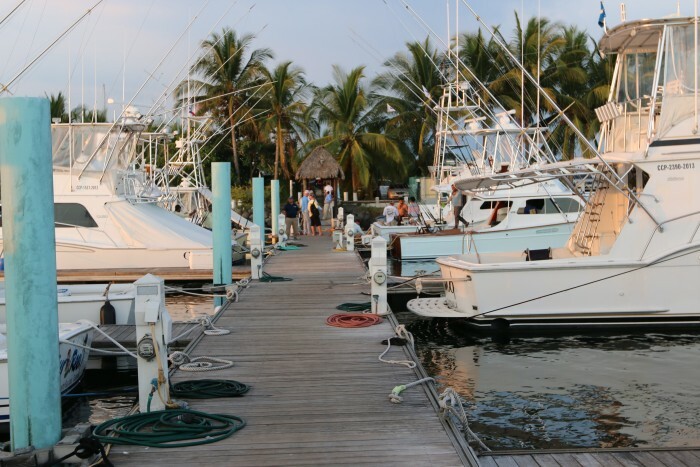 In terms of sportfishing history, this unassuming dock is steeped in tradition. Guatemala holds the record for sailfish releases in a day, on both conventional and fly tackle. The stable of captains here is really incredible. Beyond simply the number of fish caught, it is the perspective and diversity of background that makes the marina here so interesting. Van Leeuwen hails from New Zealand, Philipps is a native of South Africa, the Sheeder brothers are Hawaiian, Brice is American. They are joined by Guatemalan captains, many of whom have grown up as mates. These are headlined by Eddie Baires, who cut his teeth with Ron Hamlin, and Kennedy Hernandez whose cockpit wizardry graced the Decisive for many years. The result is an amalgam of culture and perspective that makes a walk down the dock in itself is a great piece of fishing perspective. Another charming aspect of the fishery in Guatemala is the relative lack of travelling boats. Compared to other of Central America’s premier destinations, the area is much the same as it was ten years ago. The lack of traveling boats is neither a good or bad thing, but it imparts a sense of intimacy and community to the dock and the men who make their livings fishing here. In a world that’s increasingly driven by plans made three months ahead of time and by actions that are the result of analyzing lists of pros and cons, the most compelling reason to fish Guatemala is perhaps the simplest. It’s really fun. The people are nice, the lodging is great, the food is good and the fish are more than gracious in their hospitality. There’s a reason it’s a bucket list destination that brings people back over and over. See for yourself. 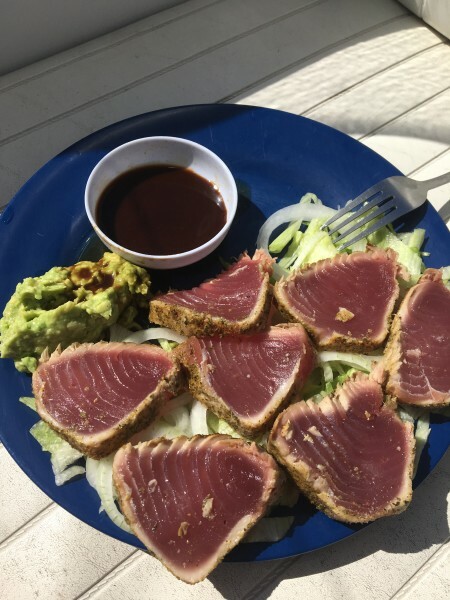 One of the best things about consistent dorado and yellowfin? Boat lunches.